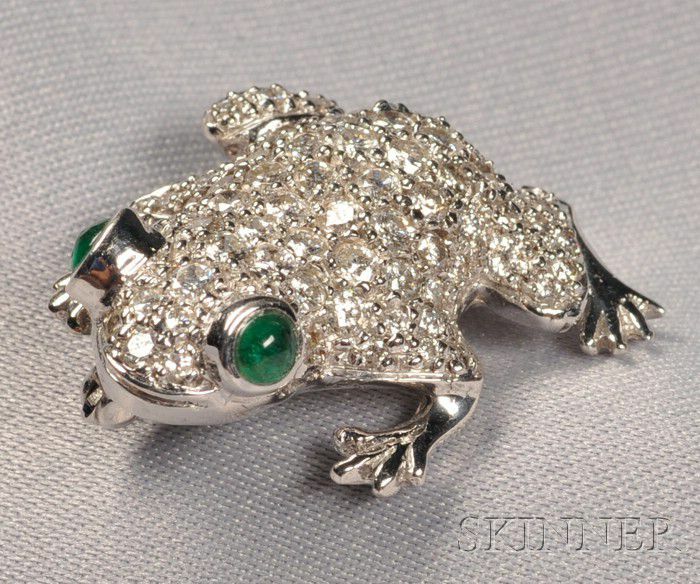 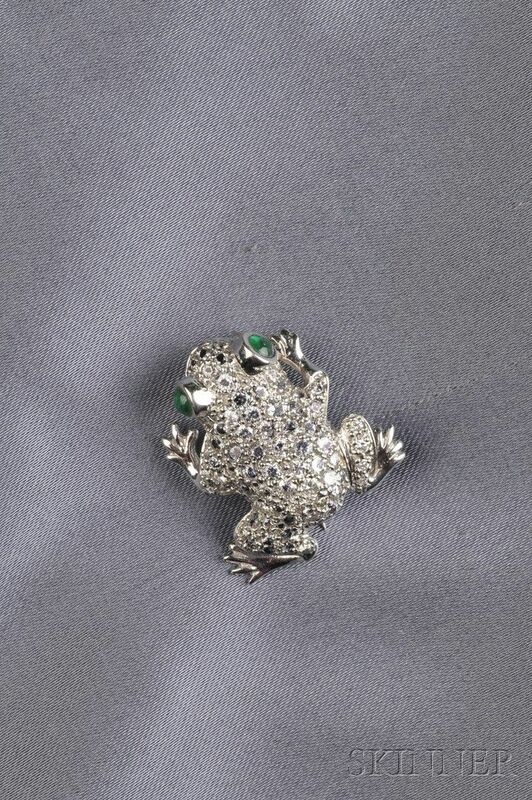 18kt White Gold, Emerald, and Diamond Frog Brooch, pave-set with full-cut diamonds, approx. total wt. 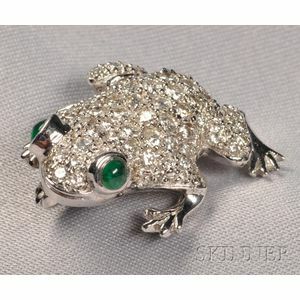 1.25 cts., bezel-set with cabochon emerald eyes, 5.5 dwt, lg. 1 in.